Review the results of seizure detection. Filter the event list by event type SzD to quickly navigate from one detected event to the next event. You decide, if a detected event is a seizure or not. In case of a seizure the event is added to the report directly after your decision. 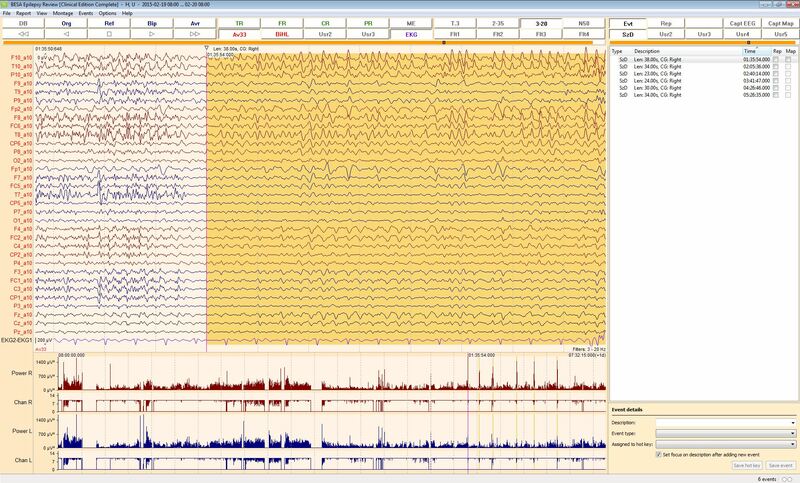 Mark seizure EEG onset by 1-click. Review the integrated power values to find seizures that might have been missed. 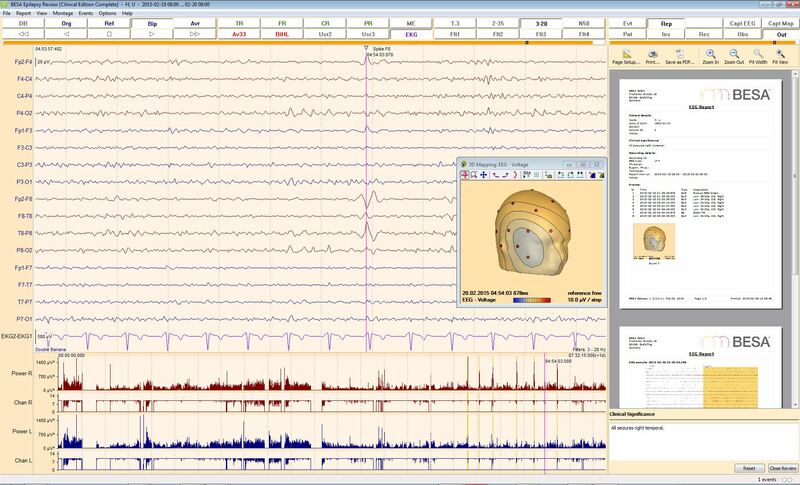 Add EEG images to the EEG report by 1-click.